Do coupons and points create real customer loyalty? Or do they just teach customers to wait for discounts? Rather than building loyalty programs based on frequency or spend, more retailers should leverage the mountains of data they already have about their customers to create personalized in-store and online experiences. How might a clothing retailer orchestrate a different kind of loyalty program that captures a larger share of their target customers’ wallets? Evelyn is a 45-year-old manager in the financial services industry. She generally wears a blazer and blouse with pants or a skirt, or a dress to work every day. She is constantly bored by her wardrobe. While shopping, Evelyn struggles to find appropriate work clothes that are higher quality, stylish (but not too trendy), and versatile. She prefers clothes that can be remixed with existing items in her wardrobe. She has difficulty visualizing how clothes on a size 2 model will look on her size 12 frame. Returning ill-fitting items purchased online is a hassle for her. Evelyn is bored, wants mixable options, and is unable to visualize outfits. Evelyn brings a few items into the dressing room. She notices she can scan a garment tag using the wall-mounted scanner next to the mirror. On the scanner, she’s given a 6-digit code to text to the retailer. A second later, Evelyn receives a web link to view suggested outfits featuring the scanned item. 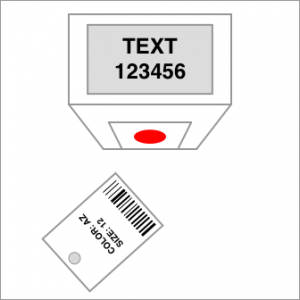 Because the barcode on the tag includes the item number, color, and size — the retailer can accurately suggest coordinating and currently in-stock items. She quickly swipes through photos of size 12 digital models — Evelyn’s size — wearing the same item in a multitude of ways. Evelyn can buy her selected items online or find them in the store now. From her work tablet, the salesperson also views the same list of suggested items and gathers them — plus others — for Evelyn while she’s still inside the dressing room. To ensure she doesn’t feel overwhelmed by too many choices, Evelyn is in control of which items get sent to her phone. At the register, the salesperson requests Evelyn’s phone number and email address to create her account. Rather than a plastic loyalty card, Evelyn’s phone number serves as her unique code that ties her entire purchase history together into a virtual closet. 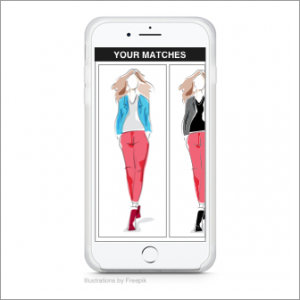 Within minutes, Evelyn receives an email inviting her to download the app and view her virtual closet. Each week, Evelyn receives an email from the retailer — promoting new items that coordinate with past purchases. Periodically, Evelyn receives exclusive offers to buy limited-run items — such as a scarf, shoulder bag, or other statement piece — designed by a top fashion designer. Core to the brand experience: the retailer’s design team strategically develops collections that can be remixed and transitioned from one season to the next. She knows every item adheres to the same standard of quality and that a size 12 will always fit her body, so she can now order online confidently. Rather than feeling sold to, Evelyn feels like the retailer is teaching her how to build a wardrobe she loves. Evelyn is grateful to the company for helping her feel confident and excited to get dressed in the morning. 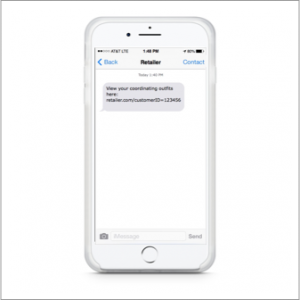 In addition to more loyal and valuable customers, the retailer can now leverage app data to learn much more about their customers’ behaviors and preferences. The app also gathers constant feedback from customers about new concepts, silhouettes, color stories, patterns, and more — ensuring more winning looks season after season. Are You Collaborating with Your Customers?